Two more Batman Hi-Res images! 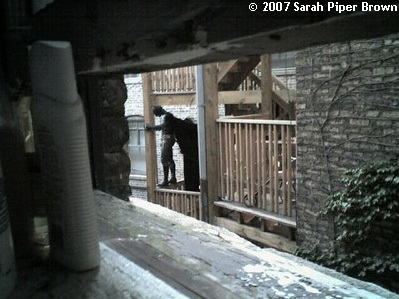 See that Batpod in a better light… click the thumbs! 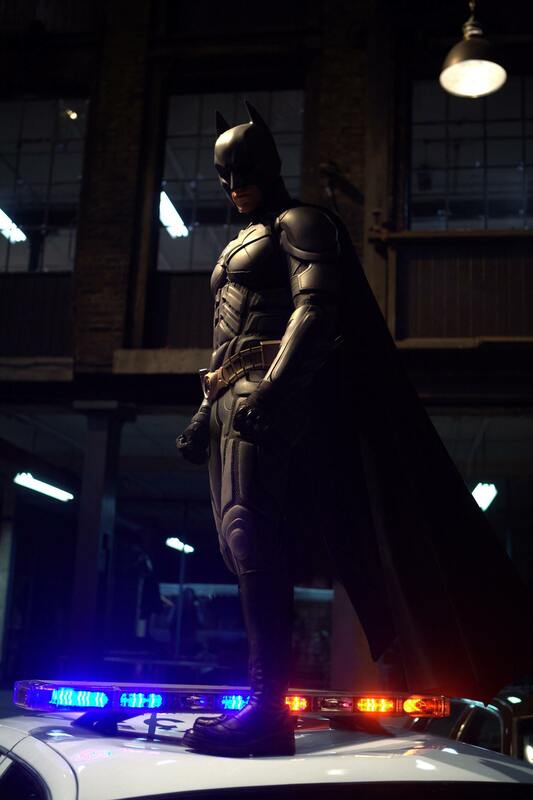 New Batman Suit– Check it out in Hi-Res! 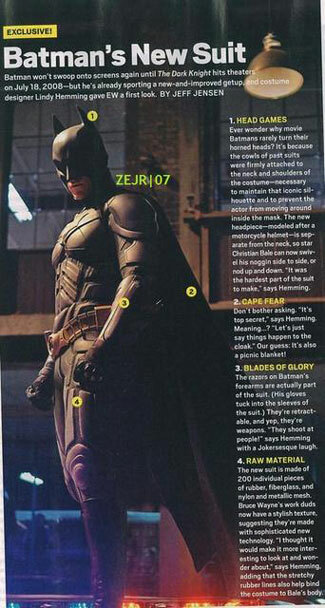 WB has released that shot of the new Batman suit we first saw in EW, in hi-res and sans text… click the thumbnail to see it! 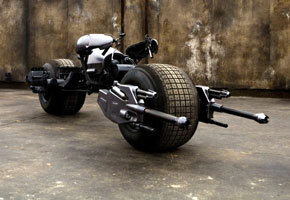 Your first look at the Batpod — More Dark Knight images!!! 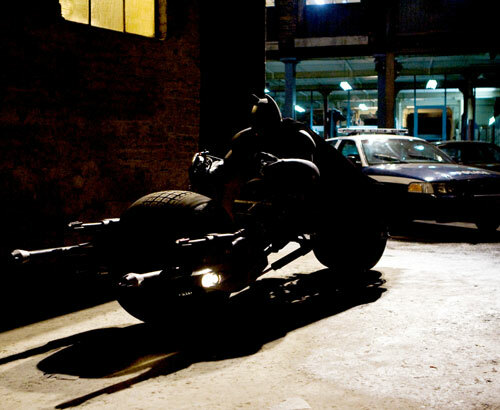 The LA Times has a short feaure on the Batpod, the new motorcycle Batman will be making use of in THE DARK KNIGHT. Can’t wait to see this thing in action! 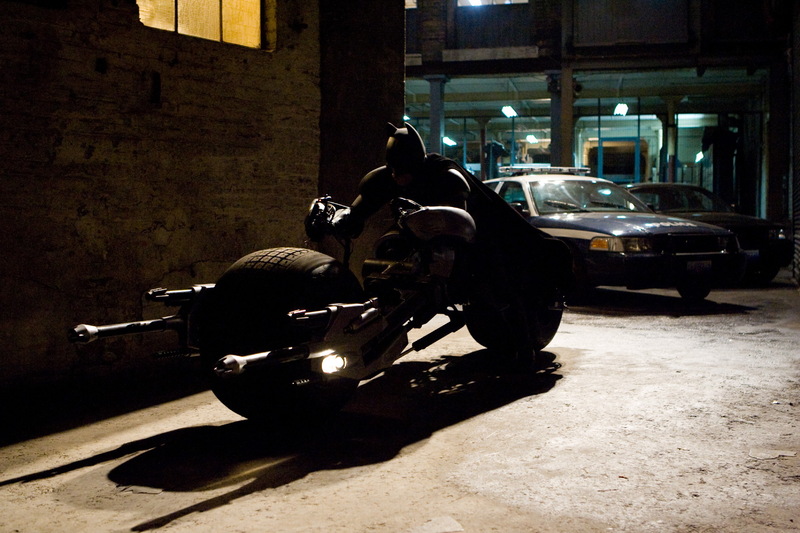 New DARK KNIGHT Images– Batman in Action!!! Nice. 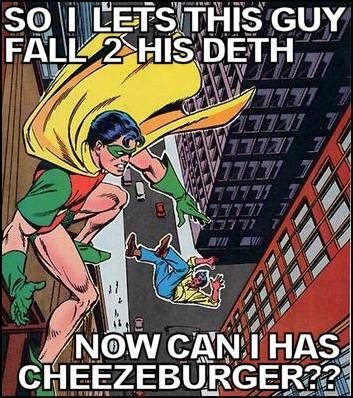 Keep ’em coming! 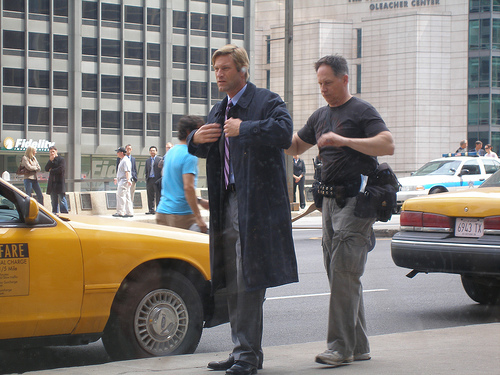 Oh, and in case you missed them, we got some looks at Harvey Dent and the new Rachel this weekend! 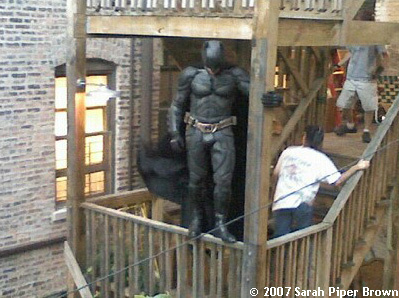 First look at the new BATMAN suit! Wow… heavy on the detailing. 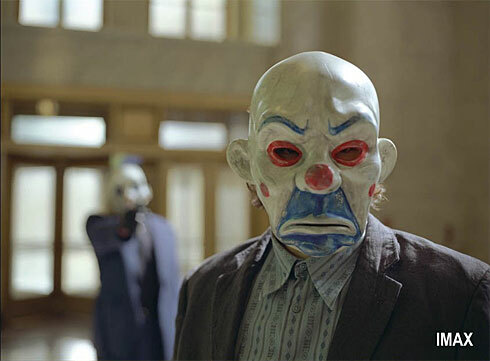 USA Today has some very cool Batman news— four sequences of THE DARK KNIGHT will be filmed using Imax cameras, including the much anticipated debut of Heath Ledger’s Joker! We can’t wait to see those scenes burst off the screen, and definitely hope more filmmakers follow Christopher Nolan’s lead on this one. 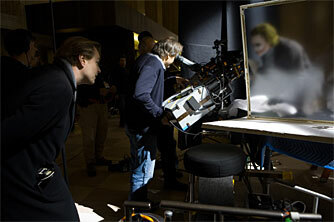 Even better, two new production shots for you, including another glimpse of The Joker!